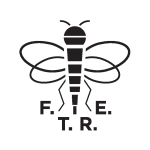 Here at FTRE towers we were delighted to hear from a talented fellow Hornet called Michael who runs the excellent Regista blog. Michael sent us his views on his first trip to the Ricoh Arena to see Watford come unstuck against Coventry and also talks about our hopes for the rest of the season. With another defeat (this time to Hull City) since we played Coventry, it looks like Michael’s feeling that we’ll miss out on the play-offs will come to pass. However, whilst there are points to play for, we are still in with an outside shot at the play-offs. Hours before we kick off against promotion candidates Norwich City, how do you think the rest of the season will pan out? If we do miss out on the play offs, can the season be termed a success? As always, we’d love to hear from you. Now, it’s over to Michael. Enjoy! 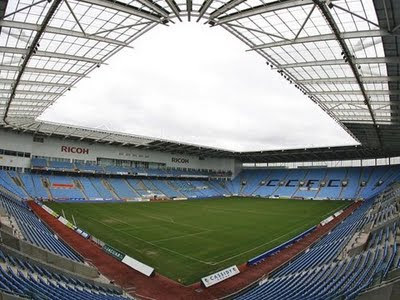 “A visit to the Ricoh Arena isn’t regarded as one of the most alluring away days in the Championship. But, with Watford four points off the playoffs and with only eight games to go, there was a strong incentive to make the trip. Watford are not the sort of team you expect to see winning away, but it was difficult to suppress the view that this was three points for the taking. “This was my first visit to Coventry’s new home and the stadium itself is hardly a sight to set the pulse racing; another out of the box, motorway friendly football ground surrounded by car parks. For a relatively new ground it struck me that the Ricoh Arena already looks quite shabby, a cut-price stadium with low-spec fittings. Of course, that shouldn’t affect the atmosphere, but something is clearly missing. “It should have been a gripping encounter, given the importance of the fixture to both teams, but from the moment I pulled up in my car there was a surreal feel to this fixture. Watford had a decent away following doing their best to generate some noise, but it never felt like the fans of either club were really involved in the game. As for the players, this wasn’t the bright, incisive Watford we have enjoyed watching this season. Even so, the Hornets did waste several clear cut chances and hit the woodwork, but apart from a brief spell at the start of the second half, they never really got hold of this game. “A deflating defeat then, but where does this leave Watford’s season? We still sit four points from a play off spot, but Reading have a game in hand, and with games against Norwich, Leeds, Leicester and QPR to come, an extended season is looking a lot less likely than it at 3pm on Saturday.